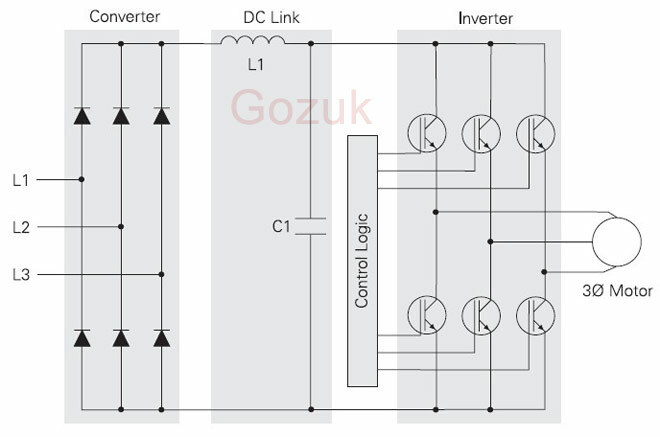 The lower frequency range, where an increased voltage is necessary for the start of the VFD, is critical. The voltage at an output frequency of zero is set with parameter Starting Voltage. 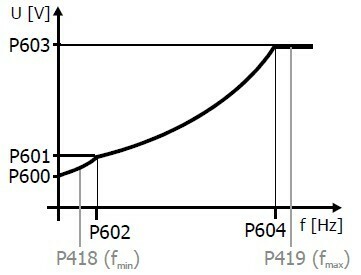 A voltage increase deviating from the linear course of the V/f-characteristic can be defined by parameters Voltage Rise and Rise Frequency. The VFD parameter value percentage is calculated from the linear V/f-characteristic. Via the parameters Minimum Frequency and Maximum Frequency, the working range of the motor or the V/f-characteristic is defined. The guided commissioning takes the parameterized rated motor values and reference data of the variable frequency drive into account when it comes to presetting the V/f-characteristic. 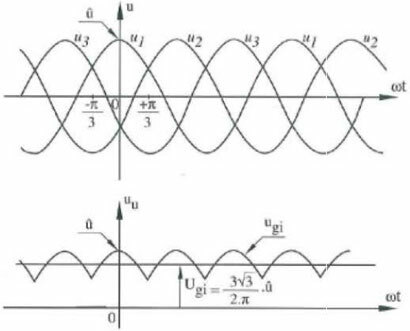 In the case of asynchronous machines, the speed can be increased at a constant torque if the motor winding can be switched over from star to delta connection. If the data for delta connection indicated on the rating plate of the asynchronous motor were entered, the cut-off frequency is increased automatically by the square root of three. The Cut-Off Voltage (UC) and Cut-Off Frequency (FC) set in the factory are derived from the motor data Rated Voltage and Rated Frequency. 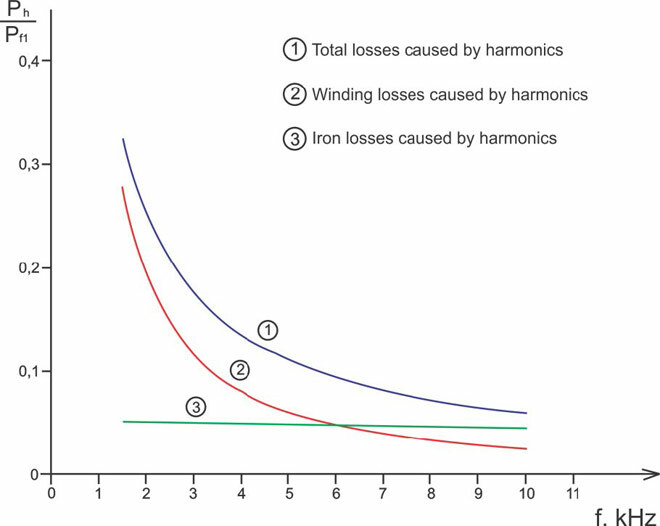 With the parameterized Starting Voltage (US), the linear equation of the variable frequency drive V/f-characteristic results. 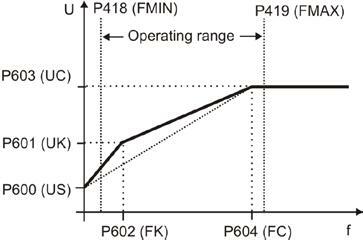 The Rise Frequency (FK) is entered as a percentage of the Cut-Off Frequency (FC), the default value is f = 10 Hz. The output voltage for the default Voltage Rise is calculated as U = 92.4 V.